nashik kolhapur shivshahi bus, Maharashtra State Road Transport Corporation (MSRTC) of nashik division will get 20 more air-conditioned semi-luxury Shivshahi buses that will be in service to initiate connectivity of Nashik kolhapur shivshahi bus with the areas having high frequency of commuters. 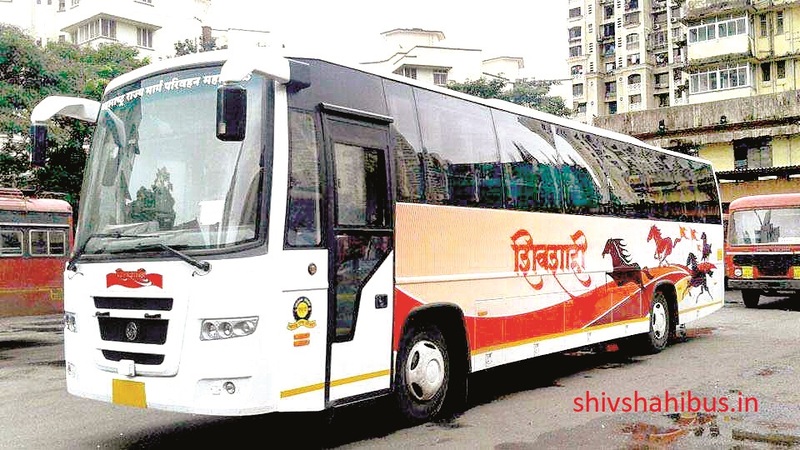 Shivshahi buses were on demand on many routes and people were found opting for it for travelling. “The passengers during the last two years have shifted their loyalty to MSRTC buses from private buses. Private buses given the bad treatment meted out to them and the time wasted in travelling from one city to the other. Nashik Kolhapur Shivshahi bus has also been rescheduled to 6pm instead of 9.30pm given the demand and choice of passengers. The Kolhapur bus would reach at around 8am and hence the passengers opted for the private ones previously. The same has been rescheduled to 6pm that ensures the bus reaches the destination at 5.30am. The buses would be pushed in for connecting Nashik with Solapur, Pandharpur, Shegaon, Dhule, Jalgaon, Nandurbar, among others. MSRTC have shivshahi bus service from Pune to Aurangabad, but now there are 18 buses on the route and all busy (getting good response from passengers). For Dhule where MSRTC do not have Hirkani a semi-luxury, non air-conditioned buses. MSRTC will introduce Shivshahi buses regular buses at alternate timings to make the latter popular among the passengers. MSRTC buses may be on the higher side during off season, but the fares were stable during the peak period like diwali, summer vacation. Unlike the private buses who charged exorbitantly from passengers. Travelling with MSRTC Shivshahi buses are more beneficial in terms of safety than private buses. MSRTC provides insurance cover in case of accident unfortunately. Sometimes in case of breakdowns, you know that MSRTC has long chain of passenger buses so other buses will be there in time. Nashik and Kolhapur are the two major cities of Maharashtra. Kolhapur is well known for its kolhapuri chappal, Kolhapuri talim (Pehelvan). From different cities of Maharashtra young boys goes to Kolhapur for some months. In Kolhapur these young boy can learn “kushti tricks” as well as they get good muscles with the help of kolhapuri food. Therefore Kolhapur became like a tourist spot for entire Maharashtra and “kushti lovers”. Both cities have plenty to offer to each other , Nashik is the holy city as it is one of the 4 places of kumbhmela. It comes once in Nashik after 12 years. Its worlds highest human gathering. During the kumbhmela days, MSRTC have to put more state transport buses due to such a massive population. Maintaining public transport in these days it’s a bit hard challenge to MSRTC. To attend kumbhmela peoples comes from all over India and from world. You can expect Shivshahi bus will be there for you in kumbhmela to provide you best quality, secure, public transport features. Shivshahi bus wasn’t launched at recent kumbhmela in Nashik.